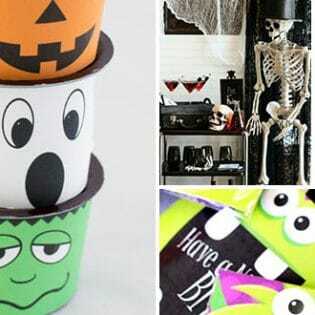 Looking for a special way to package up Halloween treats this year? 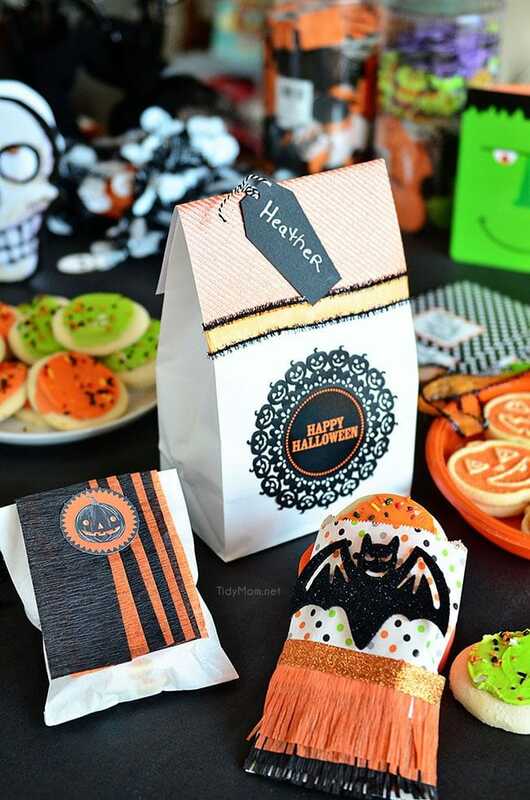 These easy DIY Halloween treat bags are perfect for holding sweet treats and more. They are a Halloween craft project that can be made quickly and easily in just a few simple steps and with just a few supplies. 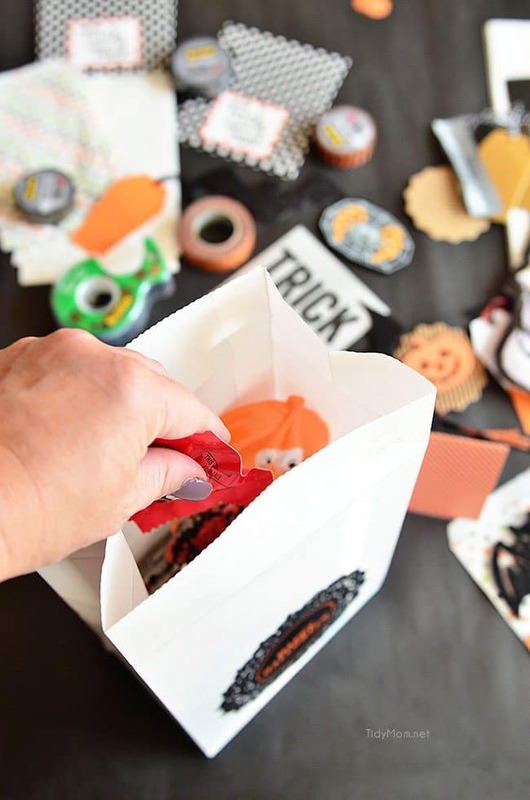 Making them a super fun treat to hand out to the little ghosts and goblins who knock on your door trick-or-treating, classroom treats, party favors or neighbor gifts. 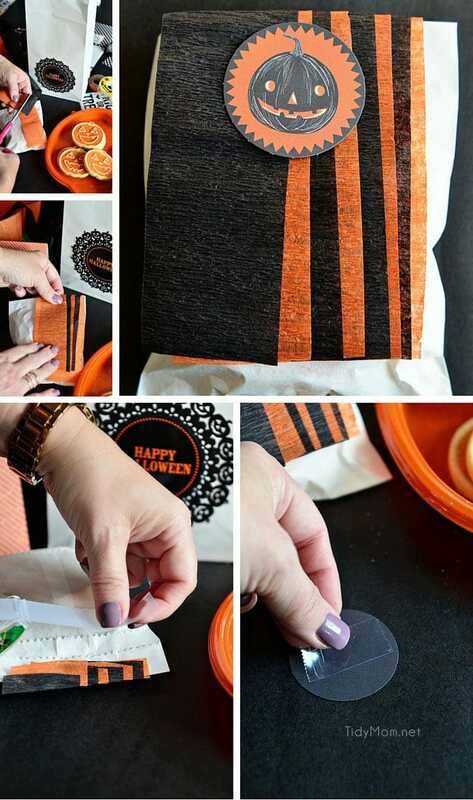 Crafting a DIY Halloween treat bags is a great way to elevate store-bought candy to a whole new level. Your house is sure to have the best treats on the block this Halloween night! Let’s see how easily these come together! I just started by gathering up a bunch of Halloween supplies I had on hand and picked some up at Target and the craft store, as well as Scotch Brand tapes. Super easy and minimal mess, the littles can even help!! 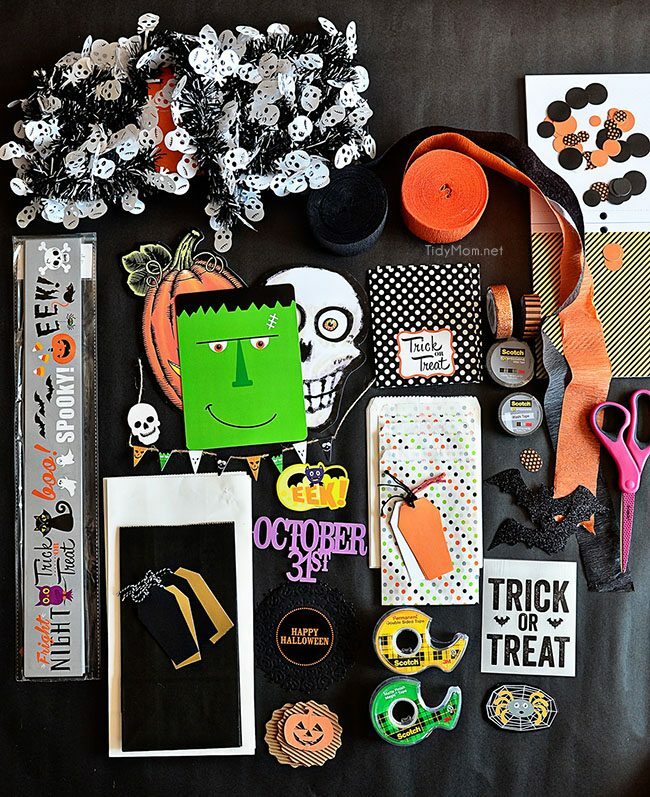 Using your Scotch® scissors, cut 2 pieces of orange and 2 pieces of black crepe paper streamers the width of your bag. Layer crepe paper fringe to the front of your bag using Scotch® Double Sided Tape to attach. Using your Scotch® scissors, cut 4 pieces of orange and 4 pieces of black crepe paper streamers the length of your bag. Fill bag with treats and fold over top edge of bag about 1 inch. Layer crepe paper to the front of your bag folding over top using Scotch® Double Sided Tape to attach. 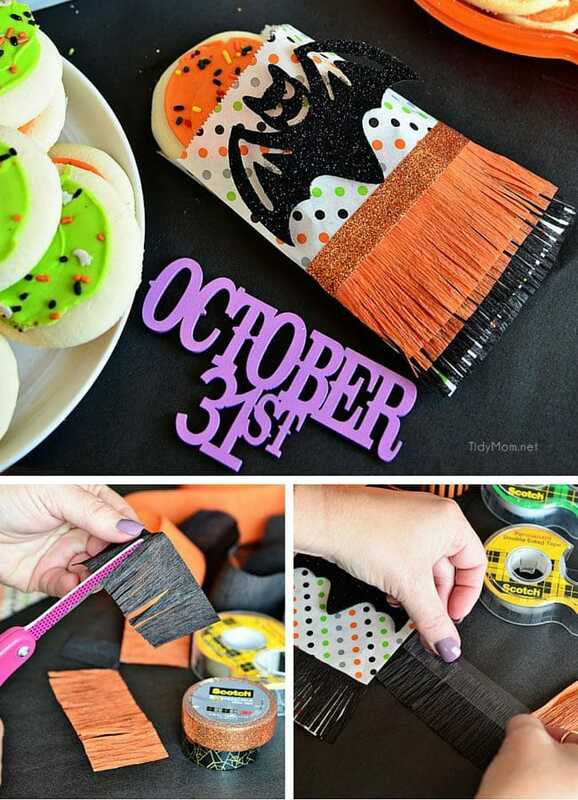 Tape paper pumpkin on to crepe paper streamers using Scotch® Double Sided Tape. Use Scotch® Double Sided Tape to attach doily to bag. 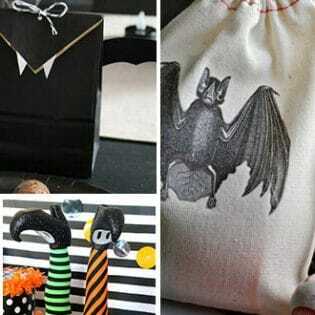 Fill the bags with a special treats and your DIY Halloween treat bags are complete and ready to pass out!! 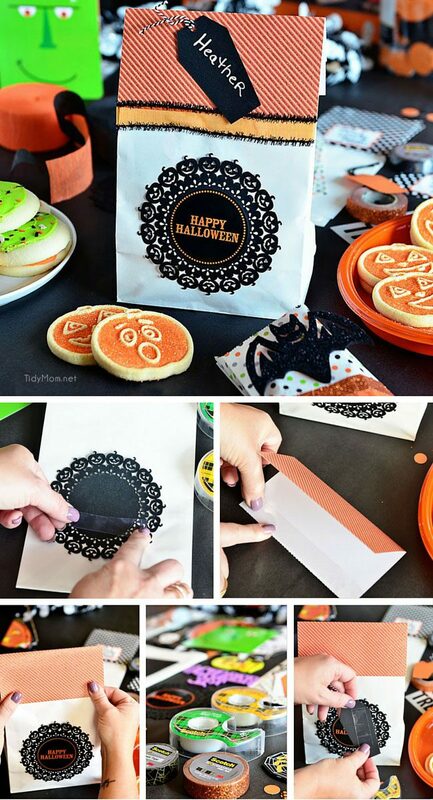 Where did you get the adorable jack o’lantern paper doilies? Love them! You are such a creative genius! Thanks for making it easy for the rest of us to use your tips and tricks and help us amateurs make a festive Halloween! Cheryl, these are fantastic! You are so creative, and I LOVE your photography. You make it look so easy! Happy Halloween! its really a great creativity. Small Small things can make a big deals. We search many shops for this type of small bags. Its waste of time. Here you given clear screen shots how to make. Thank you for sharing such good information with us.